Please note: Each pendant is sold separately. Necklace, shown, is not included. 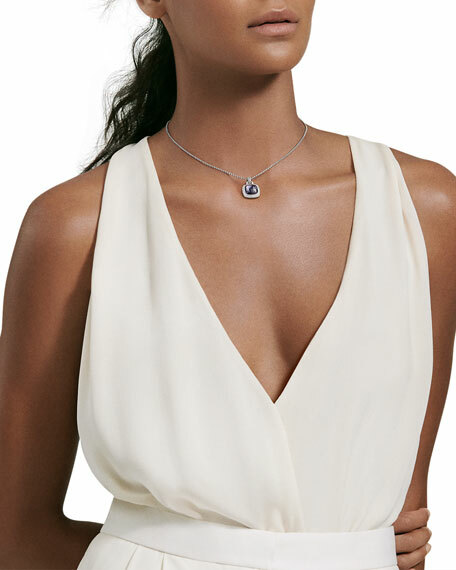 David Yurman necklace from the Châtelaine® Collection. Sterling silver box chain. Spiraled double-row bale. Pavé diamond prong setting. Faceted Hampton blue topaz pendant, 11mm (0.4"). 0.05 total diamond carat weight. Approx. 17-18"L. Lobster clasp. Imported. 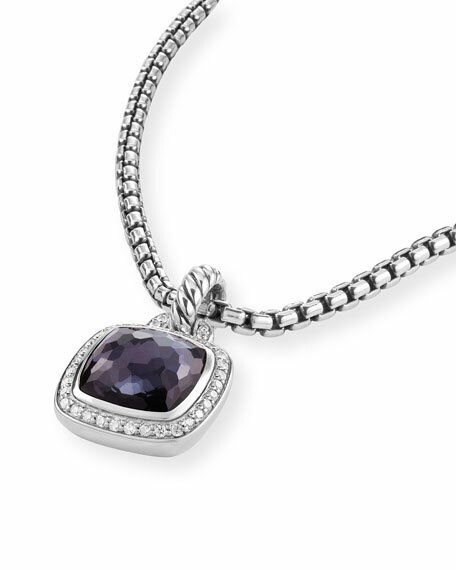 David Yurman necklace from the Châtelaine® Collection. Sterling silver box chain. Spiraled double-row bale. Pavé diamond prong setting. Faceted Hampton blue topaz pendant, 14mm (0.5"). 0.08 total diamond carat weight. Approx. 17-18"L. Lobster clasp. Imported. 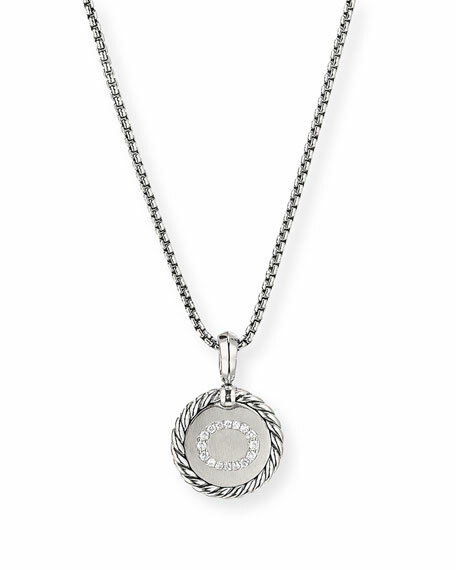 David Yurman necklace from the Cable Collectibles® Collection. Polished sterling silver box chain and hardware. Round pendant with cable trim and diamonds. Pavé diamond "O" initial; 0.15 total carat weight. Adjustable; lobster clasp. Approx. 16-18"L. Imported.